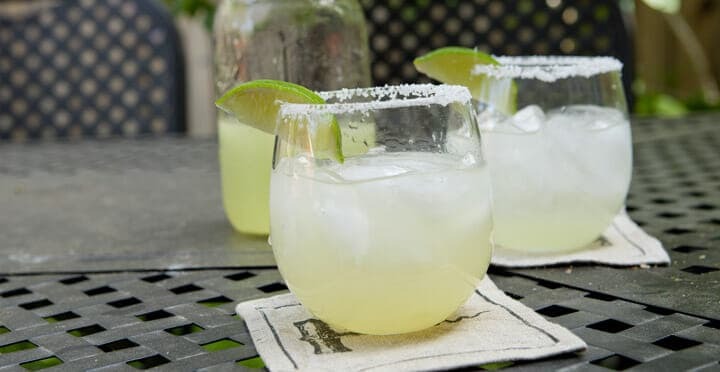 Given that Cinco de Mayo generally involves at least cinco margaritas for me, it’s really best if it falls on a weekend. Since there is only a 28.6% chance that will happen in any single year, we are often stuck with weekday Cinco situations. What I recommend when this happens is switching your perspective. Instead of pounding a gallon of cheap margarita mix, just have ONE really Perfect Margarita. Just as a warning, this one Perfect Margarita involves actually juicing fruit, not simply popping the top off a bottle. It’s worth the work though and one good margarita is the perfect way to celebrate on a Monday. Start with fresh-squeezed juice and add a little love, that is all you need for the perfect margarita. 1) For sour mix, combine sugar and water in a small pot and heat over medium heat. Just heat until mixture is dissolved. Then remove from heat. 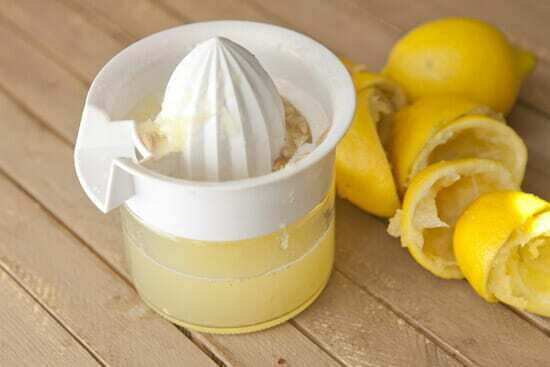 2) Juice lemons and measure out amount (you can adjust it to your tastes). 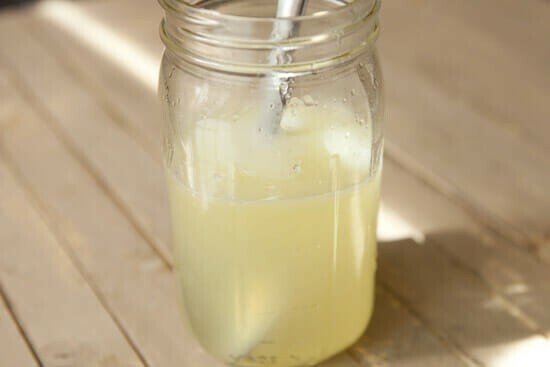 Stir lemon juice and simple syrup together in a large jar and chill. To make a margarita: measure out tequila, sour mix, lime juice, and orange liquor. Stir together. Run a lime wedge around your cocktail glass and dip the rim in coarse salt (opt.). Add ice to drink and stir well or shake lightly. Serve drink in prepared glass or strain into a martini glass. Garnish with lime. Many bars are quick to upsell you on your margarita. If you want a really good margarita, says the Applebee’s bartender, you’ll want to upgrade your tequila or maybe make it a cadillac with some Cointreau or Grand Marnier. If you buy that fancy booze, the bartender will most often proceed to fill your glass with cheap margarita mix. The truth is that fantastic tequila shouldn’t be mixed at all. Just drink it straight. If it’s really good you should be able to sip it with maybe a splash of tonic water. Meanwhile, the most important part of a good margarita isn’t really the tequila, it’s the MIX. 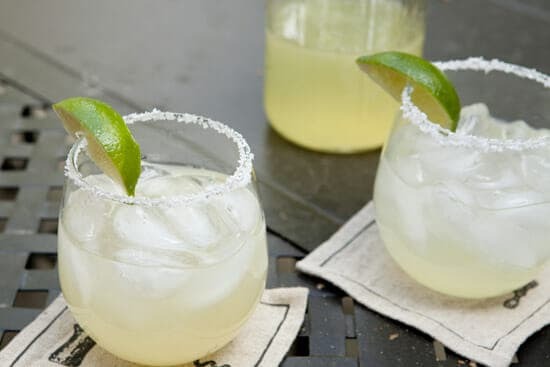 You can use any decent tequila and end up with a really good margarita if you take the time to make your own sour mix. There’s two parts to a good sour mix. First, you need to make a simple syrup which is generally one part sugar to one part water. Let that dissolve over medium heat and then remove it from the heat to cool. Part two is a lot of fresh lemon juice. I repeat: fresh lemon juice. Don’t skip this! Don’t use the concentrated crap or anything. Actually juice like six lemons until you have the amount of juice you need for the recipe. 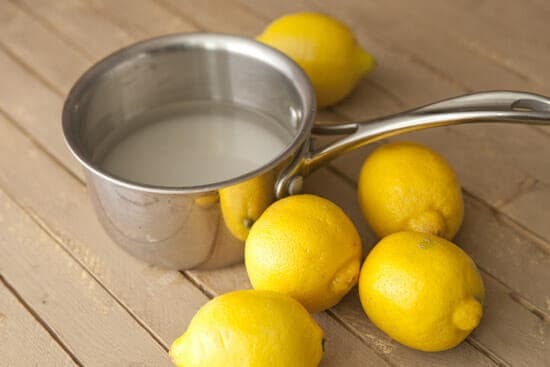 Most sour mixes are about 1 part simple syrup and 1 part lemon juice. I tend to add a bit more lemon juice just because I like my mix less sweet. I just stir my fresh juice and simple syrup in a mason jar which is easy to cap and stick in the fridge to chill. This sour mix will stay nice and fresh for 4-5 days in the fridge. It won’t last that long though. Even if you want a little non-alcoholic treat, just add a splash of this to a glass with lots of ice and top it with club soda. Delicious. Making the sour mix is the hardest part of making a Perfect Margarita and the thing that most people skip. Other than that, I always like to rim my glass with salt, but that’s optional. 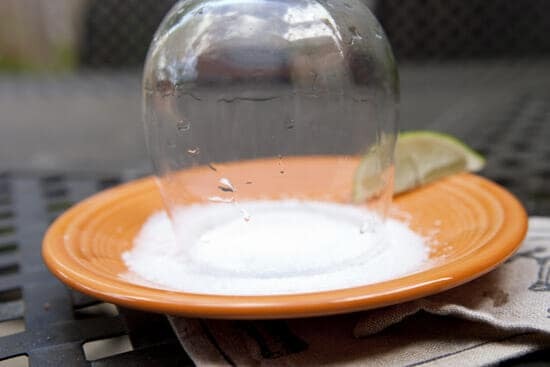 If you want to, just run a lime around the edge of the glass and dip it in coarse salt. Then just add the ‘rita ingredients to a cocktail glass and stir well with lots of ice. Pour it into your prepared glass and garnish with a lime wedge! You can also strain the margarita into a cocktail glass if you want to get all fancy. Since I had my cocktail stuff out, I tried this fun twist on a margarita which was surprisingly delicious. 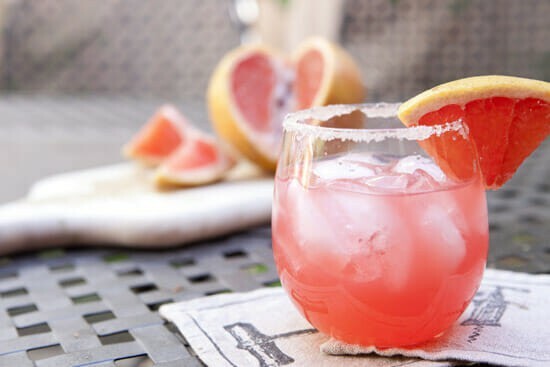 Instead of sour mix, use grapefruit juice. Leave out the orange liquor, keep the lime juice, and hit the drink with a splash of club soda before serving. Rim the glass with sugar instead of salt and you’ll have this beauty of a drink called a Paloma. It’s a super refreshing cocktail. Maybe even more so than a margarita! Hi what brand tequila do you use? Also, gold or silver? Hey Kaytee, I don’t recall off the top of my head (too many ‘ritas!) but any decent tequila or mezcal can make a good margarita!